Windrider Games brings another “blast from the past” and this time it is one of my favorite games, Citadels! This new version has been revised and expanded by the original designer, Bruno Faidutti and the Windrider team. This version will come with nine completely new characters along with the original eight ones and ten from the Dark City expansion for a total of twenty-seven characters! It also increases the number of unique district cards to thirty. It comes with a totally new artwork which is really beautiful and captivating and with some high quality components. For the fans with feelings for the old game, a Citadels Classic version will be released with the original art of the game. 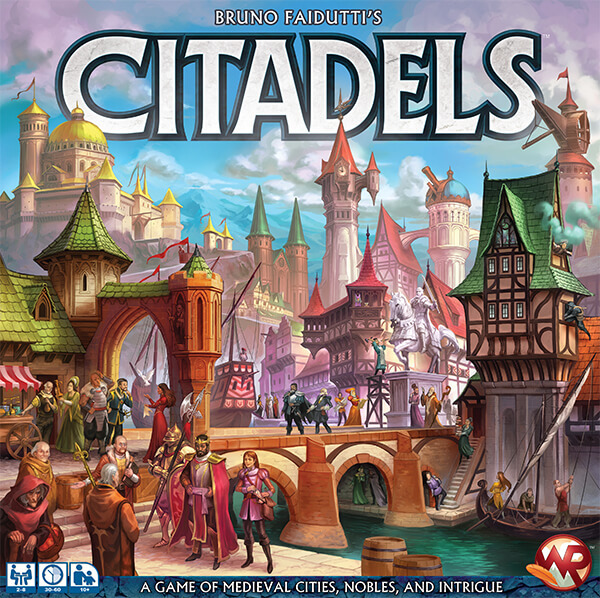 Citadels was available in the Asmodee booth at Gen Con for people to demo it and was released on December 8th. Did you get a copy of this revised edition?